Are you a CPAP hater? Continuous positive airway pressure (CPAP) has been the most common treatment for sleep apnea for a long time. However, CPAP is not always effective or tolerable for sleep disorder patients and there are alternatives. You’re not alone if you hate it! In many cases, there are alternatives. It’s just a matter of working out what is best for you. CPAP: Why do people hate it so much? 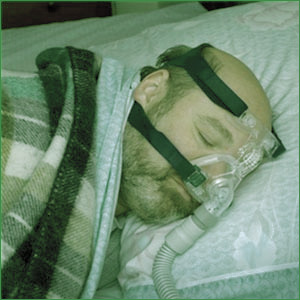 CPAP requires patients to wear a mask strapped to their head each time they sleep. This mask is connected by a flexible plastic hose to a machine that pumps air into the airway at a pressure set by a sleep specialist. Some newer CPAP variations include features such as automatic pressure variation during exhalation and breathing pauses. The newer CPAP types are intolerable to many patients as patients often take a long time to adjust to sleeping while wearing the mask and having air being blown into their airway. As a result, many patients eventually quit using CPAP. This illustrates the value of alternative treatments that are better tolerated and more effective. In many cases, simple lifestyle adjustments improve symptoms of mild sleep apnea. These include keeping the bedroom cool at night, eating dinner long before bedtime and avoiding alcohol late in the day. Patients with more severe sleep apnea also have a number of options including oral appliances, which work by keeping the tongue, soft palate and jaw from collapsing backward during sleep. Soft tissue removal surgery improves air flow by eliminating excess tissue from the sides of the airway. Oral appliance therapy treats snoring and sleep apnea at the same time. Many patients who cannot sleep with the CPAP mask find their oral appliance far more comfortable, giving them the uninterrupted rest they desperately need to recover from the effects of sleep apnea. The primary oral appliance we use is called the SomnoDent® MAS. Using the principles of neuromuscular dentistry, we will find the most relaxed position of your jaw, neck, throat, and supporting muscles in order to design an effective appliance. The SomnoDent® appliance is the most discreet and comfortable oral appliance of its kind, allowing for a full range of mouth movement. Its streamlined design allows you to seal your lips over the front of the device, preventing dry mouth irritation at night. It has been clinically validated as an effective way of treating mild to moderate obstructive sleep apnea (OSA). Over time, we can make incremental adjustments to increase the comfort and effectiveness of your SomnoDent® appliance. Most patients only need a couple of nights to adjust to the device before they are finally enjoying a full night’s sleep again. CPAP alternatives are available at Brightleaf Dental in Santa Monica. Before beginning treatment, we diagnose patients using the latest equipment. Afterwards, we review treatment options so that patients understand what is involved as they make decisions about their treatment. Because the newer treatments are better tolerated than CPAP, more patients can count on having long-term improvements of their sleep quality without the inconvenience and discomfort of CPAP.